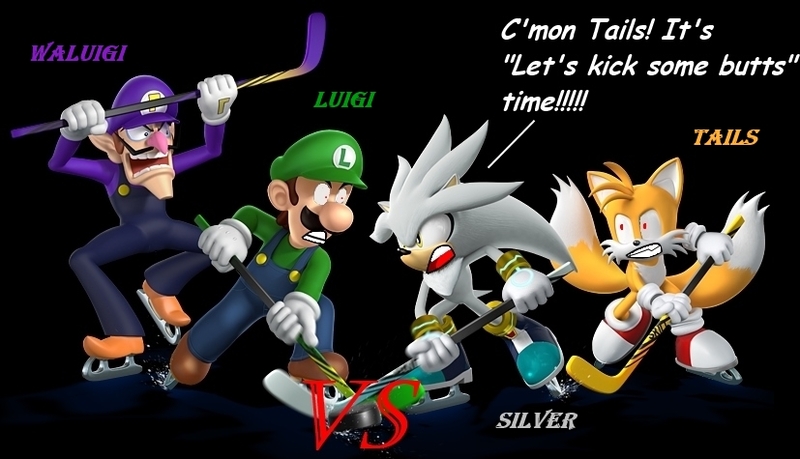 Silver and Yails vs Luigi and Waluigi. OH YEAAAAH!!. Wallpaper and background images in the Sonic the Hedgehog club tagged: photo silver tails luigi waluigi. Umm... You mispelled "Tails" wrong. :S You put "Yails" instead. Still, cool.